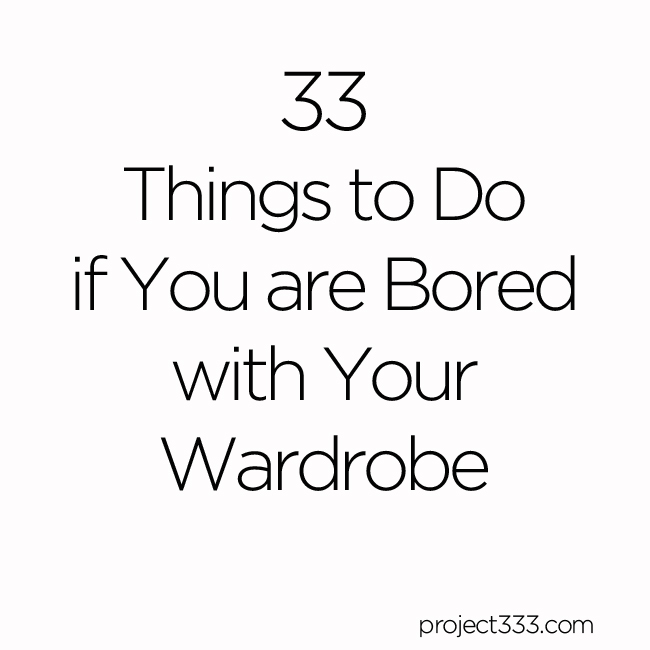 A big concern about dressing with 33 items or less is boredom. We are afraid that we won’t have enough, and that we will get bored. When I had a closet stuffed with clothes, I was often bored with my wardrobe and kept buying things to make it less boring. I was looking for that next piece, as if it would fix not just my next look, but other things in my life too. As if the right outfit would make me more interested, or interesting. Of course that never worked. If you are bored with a big wardrobe or a small capsule wardrobe, consider that clothing might not be the issue. Instead of adding one more scarf, or trying a new lipstick color to spice things up, fight boredom with your wardrobe by considering what really interests you. 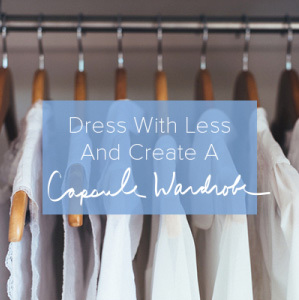 Dressing with less provides the time and space, but it’s up to you to take the next step and engage in what interests you most. Create a playlist with silly 80’s dance tunes … and dance. Find a local writing or wine tasting course. Organize a scavenger hunt for your friends. Break up with your phone and other digital devices for 24 hours. Create your own 30 day health challenge; quit sugar, become a vegetarian, or drink smoothies everyday. Read Autobiography of a Yogi . Grow an herb garden with basil, oregano, and rosemary. Read Man’s Search for Meaning . Listen to a podcast that features inspiring interviews. Trade your birthday for clean water. Give away 25 things that don’t matter to you. Smile and say hello to every person you pass for 48 hours. Take yourself out to lunch. Yes, alone. Read What Should I Do with My Life? : The True Story of People Who Answered the Ultimate Question . Pull the plug on TV, Hulu, Netflix for a week or longer. Cancel two appointments that aren’t important to you. Donate your books to a local retirement home. Turn inspiration into action and bring a crazy idea to life. Trade your car for biking, walking, and public transportation for 2 weeks. Create a meaningful morning routine. The problem is not with the number of items in your closet, but where you choose to direct your attention. Take action with an idea from the list above, or make your own list. 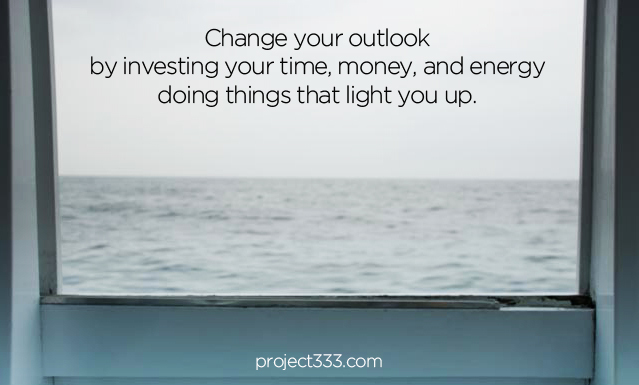 You’ll notice less boredom in your wardrobe when you invest your time, money, and energy doing things that light you up. I found myself getting bored with my capsule wardrobe toward the end of winter. The problem wasn’t the wardrobe – it had served me well. The problem was me. I had the winter blues. Luckily, I scheduled a spring vacation, which gave me the opportunity to break out some of my warm weather clothes. It was fun wearing things I hadn’t worn since last year, and even though I couldn’t wear them when I got home, it helped break up the mental monotony. Now the days are warm and sunny, I am no longer in a funk, and I am wearing the clothes that I wore on vacation! Well said!!! De-focus from the stuff (clothes in this case), re-focus on things that are meaningful and interesting. All very interesting and clarifying – really. And I would like to thank you for giving such a good imput and preparing a way in a new way of life – honestly. Why do we need, do we really need a program – some ‘mental fences’ – on our journey always? Very helpful reminder! When I’m bored with my wardrobe & find myself wanting more, more, more, it’s a good sign something else is missing in my life. 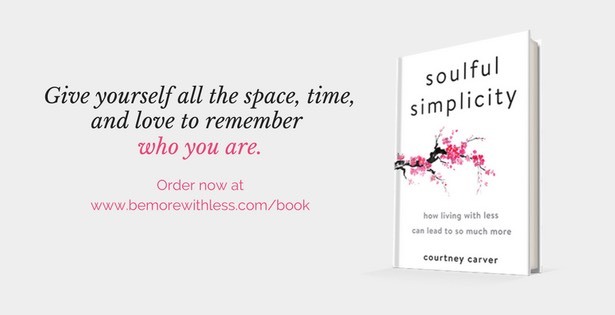 Either I’m not taking care of myself & my relationships, or I’m not practicing gratitude. Can I throw this question out there? This happens every time I shop. It starts with feeling desperate because I’ve waited too long to buy a particular piece. Then, I go shopping, like I did the other day. And I buy what’s on my list & it’s all on sale (6 pieces). Then the guilt sets in. Then I think about the shirt that is getting tired, that I could also replace. But then, do I really need these clothes? Analytically, they fit a hole in my wardrobe & goodness knows I love clothes. I don’t have too much in my closet & I actually wear what’s in there. What the heck is going on in my head? And now that I’ve shopped some, I’m ready to buy what is remaining on my wish list (3 or 4 pieces) but I’m afraid to shop because I don’t want to spend the money. Any help with stopping the guilt? Anyone else have this head chatter? I have this too and I found if I read articles and blogs from people who live without money, it brings back my joy. 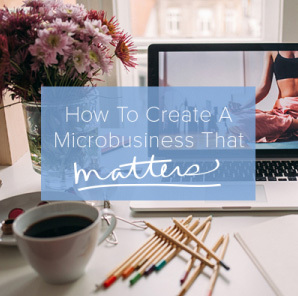 Because money is something people tell us we should keep, because it’s not enough of it and you need it and you have to hide it and can never have enough – and so on. If you have problems investing money in special things like clothes, try out a group on a social network side where you can change your stuff against other people’s stuff. If you get clothes for free, you might not see yourself thinking so much about wether or not to spend the money. You can just try and if it does not do a good job for you, change again. You will be more creative and it will be easier to spend money on things, you really really really want and need. And it can bring back the feeling of what money really is. Paper with lots of male faces on it, not much more than the news… It really has no use at all- how often do we look at our money and think: oh what beautiful money? I bet not half of people even know what’s on the money paper. The only use money has, is to give it to get something. It was invented so you do not have to pay 345 apples for one desk. Keeping money always has a risk too: we had moments in history, when money was absolutely nothing some hours later. And if you read people’s blogs, there are endless ways to get new things without buying them, too! It’s personal decision what helps you and what brings you joy. I’m not ready to live without money, but changing clothes and sewing the rest really helped me letting go of stuff I don’t need and made me realize what I want: try out new stuff sometimes and being creative with my wardrobe, without the risk of investing too much money that I actually need for food or something else! It’s not always boring to think about clothes, but you are right: there is so much more to life! Q: In a 4-season place, what is a good range for total year-round wardrobe, in your opinion?